The Elder Scrolls V: Skyrim is an action role-playing video game developed by Bethesda Game Studios and published by Bethesda Softworks. It is the fifth installment in The Elder Scrolls action role-playing video game series, following The Elder Scrolls IV: Oblivion. Skyrim was released on November 11, 2011, for Microsoft Windows, PlayStation 3 and Xbox 360. Skyrim's main story revolves around the player character's efforts to defeat Alduin, a Dragon who is prophesied to destroy the world. Set two hundred years after Oblivion, the game takes place in the fictional province of Skyrim. The game continues the open world tradition of its predecessors by allowing the player to travel anywhere in the game world at any time and to ignore or postpone the main storyline indefinitely. A perpetual objective for players is to improve their character's skills, which are numerical representations of certain abilities. 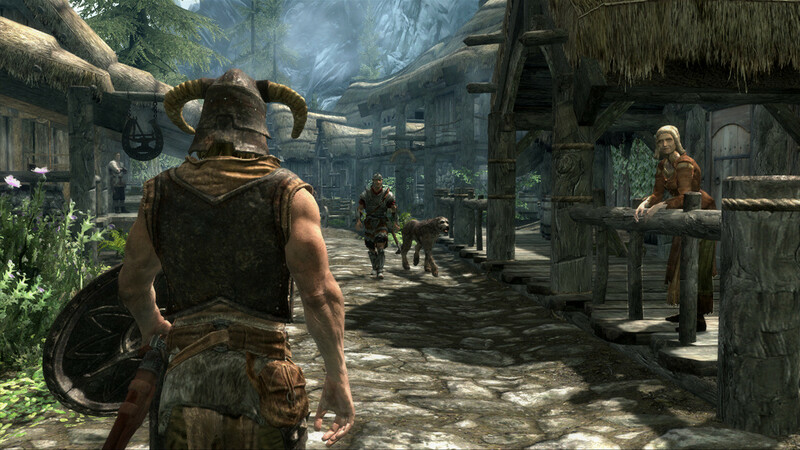 Skyrim was a critical and commercial success, shipping over 7 million copies to retailers within the first week of release. 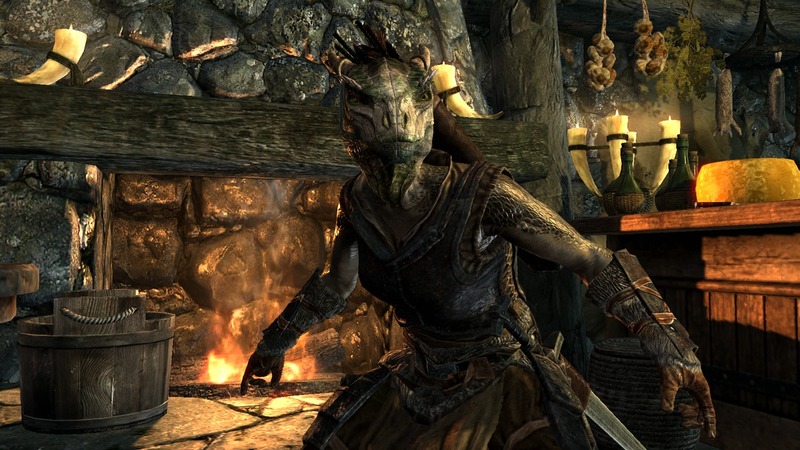 Several add-ons have subsequently been released, which include Dawnguard, Hearthfire and Dragonborn. 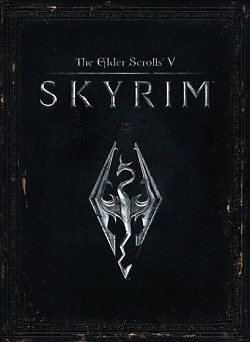 A collection, which was released as The Elder Scrolls V: Skyrim Legendary Edition, a package including the latest patch and all three expansion packs, was released on June 4, 2013 for all three platforms. The Elder Scrolls V: Skyrim is an action role-playing game, playable from either a first- or third-person perspective. The game is presented as an open world, allowing the player free roam over Skyrim, a large, open environment. The player may navigate the game world faster by riding horses, or by utilizing a fast-travel system that allows the player to warp to previously-discovered cities, towns and dungeons. A main quest is assigned to the player at the beginning of the game, but it can be completed at the player's leisure, or ignored given the prerequisite that the first stage of the quest is completed. Non-player characters (NPCs) allocate the player additional side-quests, and the parameters to some of these side-quests may be adjusted, for example by sending the player to a dungeon that has not been previously explored. The player can interact with NPCs in other ways as well, for example by having conversations with them, which may probe the opportunity to be assigned a quest by the NPC. Some NPCs that are befriended or hired by the player may act as companions who will accompany the player and provide aid in combat. The player may choose to join factions, which are organized groups of NPCs such as the Dark Brotherhood, a band of assassins. Each of the factions has a headquarters, and they have their own quest paths which the player can progress through. Each of the cities and towns in the game world has an economy, which the player can stimulate by completing jobs such as farming.